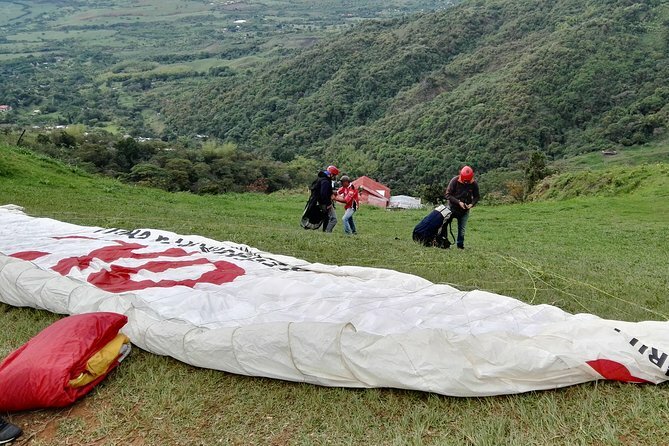 In Valle del Cauca, close to the Hacienda El Paraiso, is where you will embark on your paragliding experience. You will be surrounded by trees and mountains where nature becomes one of the main elements for the experience of flying. Come enjoy this fantastic view and feel the absolute freedom in the air. Leave your hotel at 1pm in a private air conditioned vehicle where on your journey you can enjoy the beautiful landscape from the Valley of the Cauca River and its sugar plantations and trees. Arrive at the Hacienda El Paraiso and take you 4x4 vehicle to your departure location.